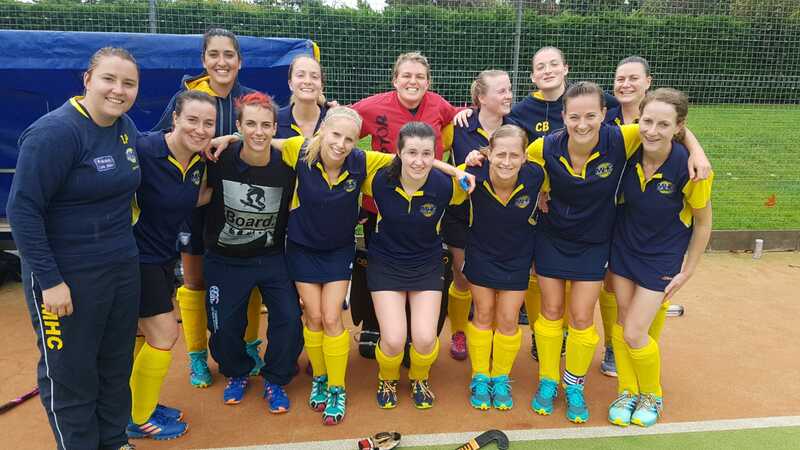 Maidstone Ladies 1s welcomed Upminster 1s to Armstrong Road hoping for a repeat of their result from the first half of the season. Unfortunately for Maidstone, Upminster had other ideas. The visiting team started strongly and pressed Maidstone high, not allowing the defensive line up of Grace Mansfield, Hannah Durston, Rachael Ferguson and Elle Scott time on the ball. The pressure proved too much for the home side and Upminster scored an early goal to lead the game. Straight from the restart, Maidstone fought back. They pressed Upminster high up the pitch, forcing mistakes, and won a short corner after some excellent play from the forwards Lesley Price, Katie Gibbons, Emily Bush and Claire Weddle. From the corner, Maidstone midfielder Catherine Broadbent scored the goal of her career, taking everyone by surprise, especially the Upminster defender on the line who watched the ball roll slowly under her stick and creep over the line. As the saying goes “A goal’s a goal”, Maidstone had drawn level before half time. The second half saw some great attacking and defensive play from both sides, but neither side was able to score. Maidstone defended resiliently in their D to keep Upminster out, with a few hairy goal-mouth scrambles going in Maidstone’s favour and goalkeeper Becky Ward making some incredible saves when called upon. The midfield line up of Lizzie McClintock, Laura Jackson, Louise Fox and Louise Cassey worked tirelessly between defence and attack, but were unable to turn hard work into a goal. A well contested game from which Maidstone only took one point. Next weekend, Maidstone visit Bishops Stortford looking to improve on this week’s result.